We live in a society which is increasingly interconnected, in which communication between individuals is mostly mediated via some electronic platform, and transactions are often carried out remotely. In such a world, traditional notions of trust and confidence in the identity of those with whom we are interacting, taken for granted in the past, can be much less reliable. Biometrics - the scientific discipline of identifying individuals by means of the measurement of unique personal attributes - provides a reliable means of establishing or confirming an individual's identity. These attributes include facial appearance, fingerprints, iris patterning, the voice, the way we write, or even the way we walk. The new technologies of biometrics have a wide range of practical applications, from securing mobile phones and laptops to establishing identity in bank transactions, travel documents, and national identity cards. 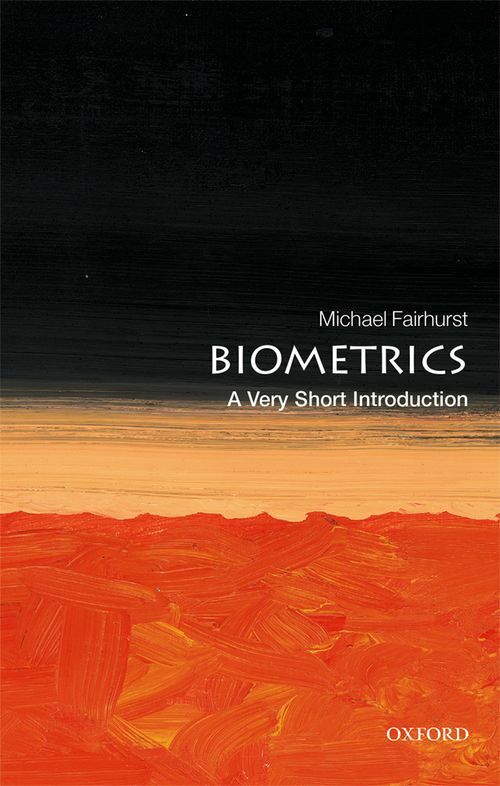 This Very Short Introduction considers the capabilities of biometrics-based identity checking, from first principles to the practicalities of using different types of identification data. Michael Fairhurst looks at the basic techniques in use today, ongoing developments in system design, and emerging technologies, all aimed at improving precision in identification, and providing solutions to an increasingly wide range of practical problems. Considering how they may continue to develop in the future, Fairhurst explores the benefits and limitations of these pervasive and powerful technologies, and how they can effectively support our increasingly interconnected society. 1: Are you who you say you are? 2: Biometrics: where should I start? 6: Where are we going? Professor Michael Fairhurst is Professor of Computer Vision at the School of Engineering and Digital Arts at the University of Kent. He has published widely in technical literature as author or co-author of more than 400 research papers. Fairhurst is Editor-in-Chief of the IET Biometrics research journal, and has edited recent books on both security techniques and the effects of ageing on biometric processing. He is the Series Editor of the IET Advances in Biometrics book series. Professor Fairhurst was elected a Fellow of the International Association for Pattern Recognition in 2004 in recognition of his distinguished contributions to the field.